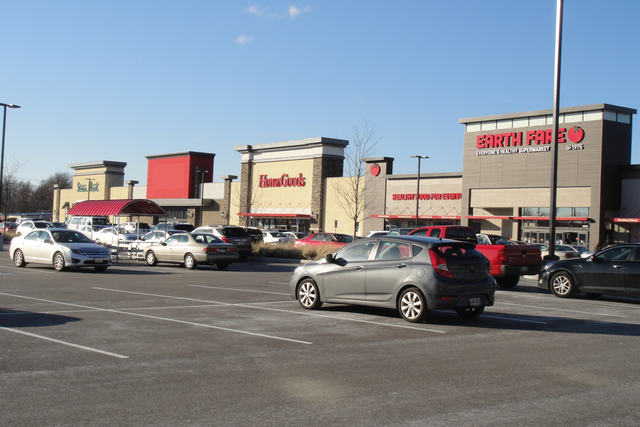 A shopping center located at the northeast corner of Whipple Avenue and Everhard Road in Canton, Ohio, has come a long way since DeVille Developments hired Goodman Real Estate Services Group to market a shopping-center-turned-office-building into the beautifully redesigned, highly competitive retail destination it is today. The conversion of this former Hills Department Store into a call center 15 years ago practically killed this 40,000-vehicle-per-day intersection. Now, retailers and restaurants are again clamoring to locate there. With 16 years of success in the Pacific Northwest under their belt, Portland, Oregon-based Bishops Cuts / Color has embarked on an extensive national expansion program that now includes Columbus, Ohio. Bishops, a co-ed hair salon who describes themselves as offering “on-demand, on-trend hair care at affordable prices with a street style aesthetic” will be opening its first location in the Midwest in Clintonville, a trendy neighborhood in the heart of Columbus just north of The Ohio State University’s campus. They join the recently-opened second location of Columbus staple Hot Chicken Takeover in a brand new multi-tenant retail center at the southwest corner of High Street and Deland Avenue. Bishops will occupy a 1,330 SF space with 10 retro-style barber chairs. Their grand opening will be on Saturday August 5, 2017. Bishops Cuts / Color currently has 14 locations in Greater Portland, Oregon, 3 in Seattle, Washington, and one in Tempe, Arizona. The company will also open a location in San Diego, California this September. Steven Dorsky, Senior Executive/Director of our Columbus office, represents the Columbus franchisee for Bishops Cuts / Color. Five new Starbucks locations are planned to open throughout Ohio, in Columbus, North Canton, Westerville, Macedonia, and Medina. The Wilson, a new mixed-use retail and residential development located at the corner of E. Lane Avenue and N. High Street, a main gateway to The Ohio State university campus in Columbus, Ohio, will welcome Starbucks, Chipotle, and CoreLife Eatery. Starbucks will also be coming soon to a new retail strip at the intersection of Polaris Parkway and Cleveland Avenue, part of a broader development anchored by a HealthSouth rehabilitation hospital, in Westerville, Ohio. Starbucks will be joined by Local Cantina and Bru Burger Bar in the 14,500-square-foot strip called The Corner In Westerville, Ohio. Starbucks plans to open approximately 12,000 new stores globally by 2021. Steve Altemare, Senior Vice President, and Dan Clark, Vice President at Goodman Real Estate Services Group, Columbus Office, represented Starbucks in this transaction.